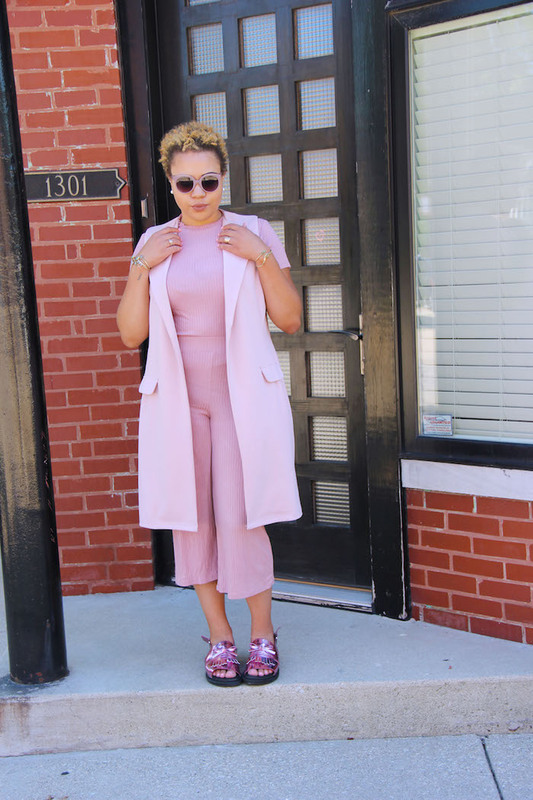 Totally obsessed with this all pink look! 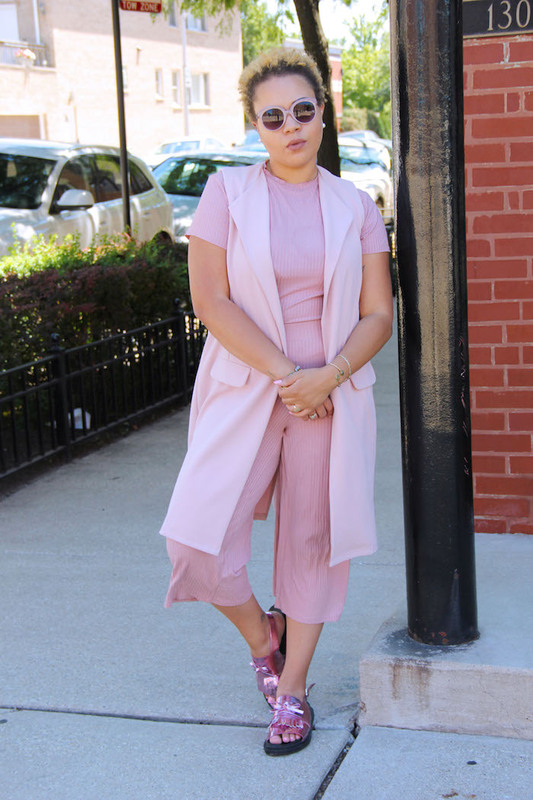 It's combining 4 of my favorite things at the moment....longline vest, culottes, co-ord sets & cool shoes! It literally doesn't get any better than that. Pretty in pink! Love that vest! I fall in love with your sandals! Love, love, love this shade of pink! You look amazing and its such a nice colour for Summer. Love it! I wanted to do something like this too! I have the rose pink cardigan (my absolute favorite thing to wear), rose pink pants and shirt. I just don't have pink shoes... yet. 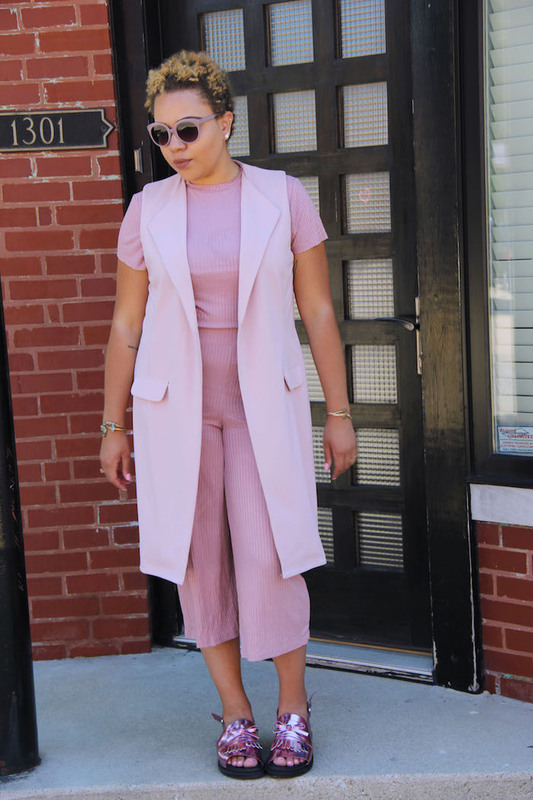 I'm loving this pink monochrome, that sleeveless trench is goals! Beautiful look. 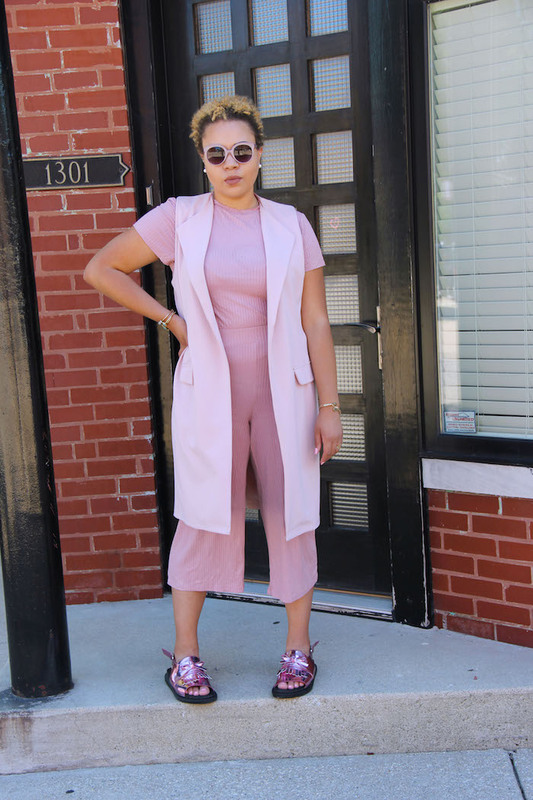 love the all-pink, it's my favorite color this season!